When I was in the fifth grade, I cried over homework. Yes, cried. I’ve always been one to take my work too seriously. Looking back, I can see that what was happening inside of me (besides newly discovered estrogen) was a longing to know that I was good enough. Good enough to be loved. Good enough to be wanted. Just like my ten-year-old self, many who visit our churches are asking, “Am I good enough to be loved?” Of course, we already know that the God kind of love isn’t based on merit, but we still need to prove that to others. With all this in mind, here are four ways we can practically show agape love to our visitors. Be the first to smile. – Smiling naturally makes a person more approachable. If you see someone looking lost in the church lobby, offering a smile increases the probability that they will ask for help and, therefore, have an overall positive experience at your church. Introduce yourself. – In today’s world, it can be tempting to overlook new people knowing that we may never see them again. However, that may also be the reason why we never see them again. Don’t give into this temptation. Whether our not a visitor is connected to someone in the church, making an effort to meet them will leave a lasting impression. Offer something. – When you encounter a visitor, treat them like you would in your own home. Offer them coffee or water (even if that means directing them to the water fountain), highlight areas of interest like the main sanctuary and children’s department, and then let them know how they can stay connected. 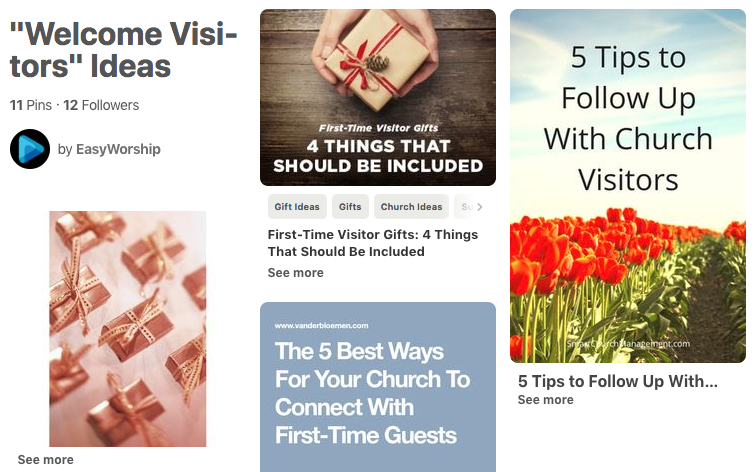 Of course, this list is only the tip of the iceberg, but hopefully it sparks a little creativity in thinking about how your church can be more welcoming to visitors. For more tips on helping your visitors feel welcome, check out our Pinterest board. Previous Post How to Use Bright Colors In Your Song Slides, Pt 1. Next Post How to Use Bright Colors In Your Song Slides, Pt 2.